A Cut is defined as a break in the skin. It may occur from sharp or pointed objects. In most cases, appropriate home care and medication is sufficient treatment. 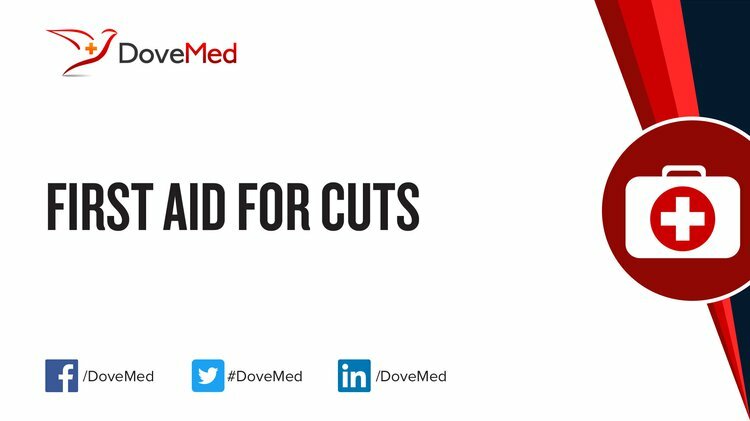 All severe Cuts should be evaluated by a trained medical professional, as soon as possible! DO NOT wait! Failure to obtain evaluation as soon as possible may result in serious injury or death. Call 911 (or your local emergency number) immediately, if you experience any severe Cuts. What are the Causes of Cuts? What are the Signs and Symptoms of Cuts? How is First Aid administered for Cuts? Who should administer First Aid for Cuts? What is the Prognosis of Cuts? The prognosis is usually good. However, one should carefully monitor the Cut for any signs of infection. How can Cuts be Prevented? De Buck, E., Van Remoortel, H., Dieltjens, T., Verstraeten, H., Clarysse, M., Moens, O., & Vandekerckhove, P. (2015). Evidence-based educational pathway for the integration of first aid training in school curricula. Resuscitation, 94, 8-22.
de Oliveira, M. R., Leonel, A. R. A., Montezeli, J. H., Gastaldi, A. B., Martins, E. A. P., & Caveião, C. (2016). Conception of undergraduate nursing students on the practice of health education on first aid. Northeast Network Nursing Journal, 16(2). Lewis, S. P., & Knoll, A. K. (2015). Do it yourself: Examination of self-injury first aid tips on YouTube. Cyberpsychology, Behavior, and Social Networking, 18(5), 301-304. Zeitz, K., Zeitz, C., & Kadow-Griffin, C. (2015). Injury occurrences at a mass gathering event. Australasian Journal of Paramedicine, 3(1).